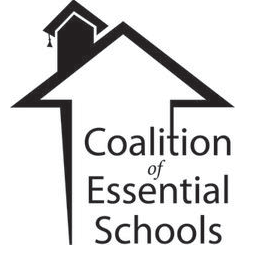 The Professional Development Center at Eagle Rock will continue education renewal work at the Coalition of Essential Schools Fall Forum in San Francisco, CA from November 7 – 9, 2014 and has limited appointments available to discuss what we do and how we might work together. Interested educators can tweet at us @eaglerockschool to set up a meeting. Eagle Rock, a nonprofit subsidiary of the American Honda Motor Company, is both a school for high school age students and a professional development center for adults, particularly educators. The school is a year-round, residential, and full-scholarship school that enrolls young people ages 15-17 from around the United States in an innovative learning program with national recognition. The Professional Development Center works with educators from around the country who wish to study how to re-engage, retain and graduate students. The center provides consulting services at school sites and host educators who study and learn from Eagle Rock practices. Education’s most energetic and innovative leaders from all backgrounds of the learning landscape including teachers, administrators, university professors, business and policy leaders converge each November. Participants from these “Uncommon Schools” will join us for our 30th conversation as we reflect on the work of the past and look forward to how the 10 Principles can inform our collective work in the age of the common core. For more information please visit www.eaglerockschool.org and check us out on Twitter@eaglerockschool and on Facebook at facebook.com/EagleRockSchool. For interview and photo opportunities, please use the contact information at the top of this page. This entry was posted in In The News, Professional Development Center. Bookmark the permalink.